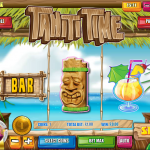 Tahiti Time is a 3 reel / 1 payline slot game released in 2012 by Rival. Unlike many other classic slots in this one only the payline is visible. It means that only 3 symbols are revealed each spin which makes this game really vibrant. The theme of course is based on the amazing pacific islands and Tahiti to be more precise. Yet another unusual feature is that this game has a scatter. It is the Guitar symbol and when you land 2 or 3 you will receive 5 or 20 Free Spins respectively. Any win you get during the free spin rounds will come with a 3x multiplier. Yes we like this game! 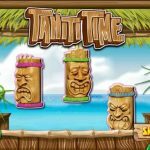 If classic slots are your thing then you should really give this a look. The free spins bonus is a very nice feature and the fact that you can play small bets and still win big is awesome. 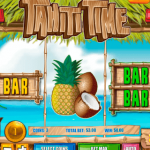 Another very summery game you should consider playing is Surf Paradise a 3 reel slot by Rival.